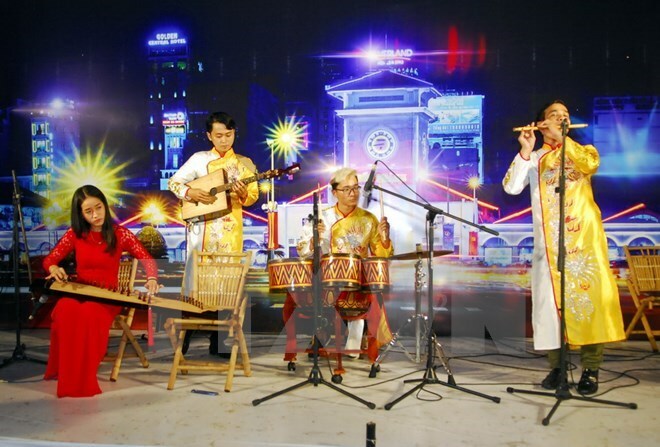 HCM City (VNA) – A wide range of entertainment activities will be organised in Ho Chi Minh City during the National Day holidays from September 2-4. During the holidays, the Dam Sen Cultural Park in District 11 will offer numerous activities themed the “Autumn Festival”. A kite that is 50 metres long and 30 metres wide and carries about 4,000 wishes written by visitors to the park in the summer, along with two other giant kites, will help fly 70 smaller kites. Visitors can also enjoy unique traditional and modern arts and take part in street music performances. They can benefit from 50 percent discount tickets when wearing Vietnamese flag-themed T-shirts. At the Ho Chi Minh Monument Park and on Nguyen Hue walking street in District 1, a free musical programme will be held by the HCM City Student Culture Centre on August 30 evening. A number of students will perform pieces of traditional and modern music along with school fashion designs. Also at the Ho Chi Minh Monument Park, the municipal Department of Culture and Sports is going to organise an art programme marking the 72nd anniversary of the August Revolution and National Day (September 2). Hundreds of famous singers and actors will participate in special singing and dancing performances to re-enact the country’s struggle for national freedom and impendence.